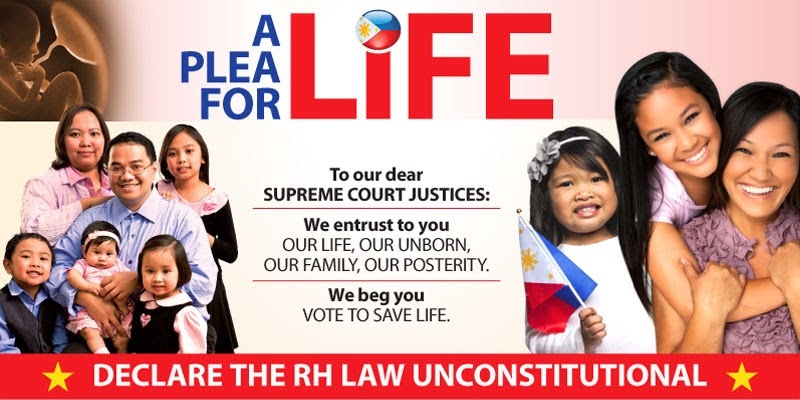 The consequences of the bill would not be as blatant as the extrajudicial killings or the Ampatuan massacre, but it would be killing nonetheless — our morals and not to forget, of course, the many lives that would not see the light of day because of the abortifacients in contraceptives. I am reminded of the passage in the bible (Matthew 10:28): Do not be afraid of what could kill the body but cannot kill the soul. 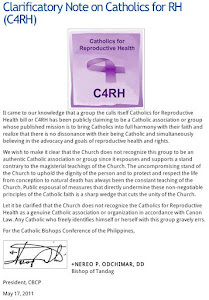 Instead, be afraid of the one who can destroy both body and soul in hell.” The latter applies to the Bill: it would destroy our morality and also literally kill lives in the womb. It took us 20 years to decide to throw out a dictatorship. They say we Filipinos are long-suffering (matiisin) to a fault. That is something to think about: a virtue is not a virtue when there is a lack of it, but it also ceases to be virtuous when there is an excess. 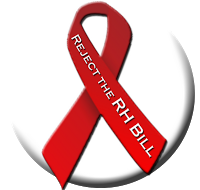 The RH bill is a form of dictatorship, a subtle one, but a dictatorship nonetheless. More concretely, it is a legislated dictatorship of moral corruption. Let us not wait and see what would be its effects 20 years from now. We already know its effect: moral corruption. Pnoy claims that he will stamp out corruption with “daang matuwid” and yet he is promoting moral corruption, which is the root of the other kinds of corruption. I have been going to Congress because I do not want to be a mere spectator of events or a free rider — that is, doing nothing and yet I stand to benefit from what the other Pro-lifers would obtain for the good of everyone. I pray and hope that more people will act on the call to go to Congress!